General contractor: Branco Enterprises Inc. Architect: Dake Wells Architecture Inc.
Project description: Spanning three buildings at the northeast corner of Sunshine Street and National Avenue, unidentified developers behind Sagamore Hill Development Co. are creating up to 15 units for retail and office tenants. According to the property listing by R.B. Murray Co., two buildings will stand at roughly 10,000 square feet apiece and the third is nearly 4,000 square feet. “The project is the very first streetscape development in Springfield,” said R.B. Murray Vice President Ross Murray, referring to storefronts designed as close to Sunshine Street as possible. About 150 parking spaces are planned on the backside of the development. Murray said a half-dozen leases are signed, but he declined to disclose potential tenant names. Lease rates on the listing range from $18 to $44 per square foot. 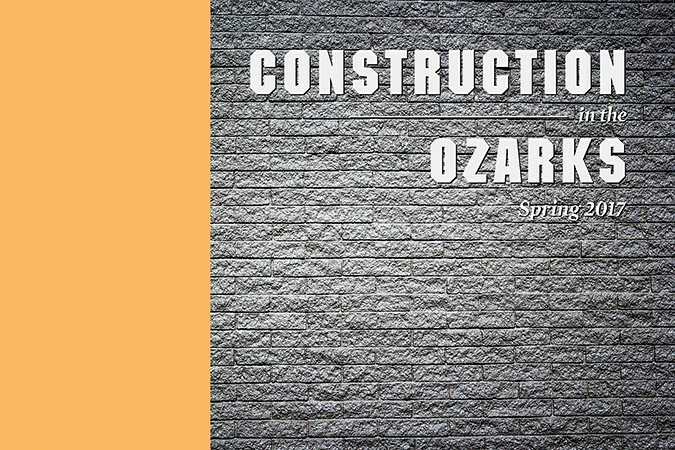 General contractor: Larry Snyder & Co.
Project description: Crews in early summer began constructing the first, and larger, building in Magers Crossing. While it’s nearing completion fronting Cox Avenue, the Republic Road-facing building is underway. Combined, the development is estimated to cost $3.5 million, according to building permits on file with the city. Arch Watson, the development’s listing agent with Sperry Van Ness/Rankin Co., said a third tenant has signed on but was not prepared to announce the lease by press time. Watson said the tenant plans to occupy the west end of the single-story, smaller building, where Great American Taco and a nail salon have signed on. No tenants have signed on for the two-story, 31,000-square-foot building at 4126 S. Cox Ave. In all, Magers Crossing is designed for 10 retail storefronts, 10 offices and seven restaurants. 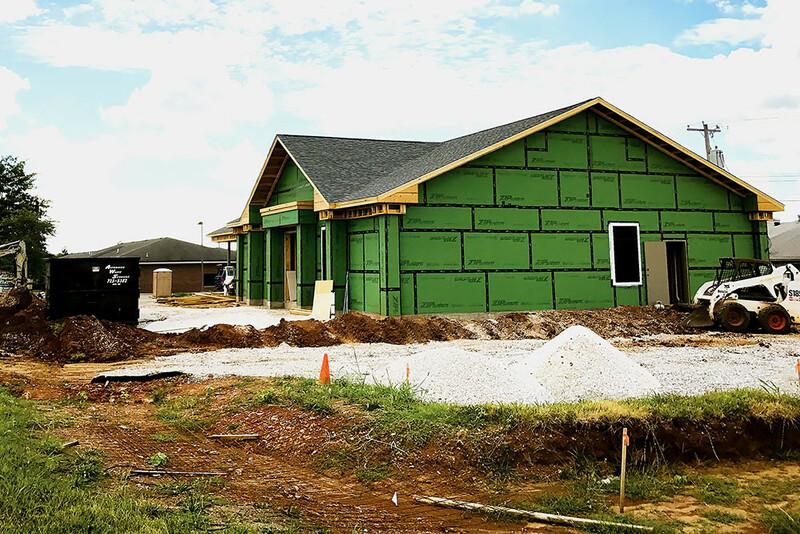 Architect: Marshall-Waters-Woody and Associates Inc.
Project description: Nestled between Parkcrest Dental Group and the Family Medical Walk-In clinic off of South Campbell Avenue, construction is nearly complete on an office building for Qualified Pension Services. Through Four Eyes Investment Properties, owner Faith Irmen bought a half-acre lot to move her company from leased space at 4650 S. National Ave. The retirement planning firm will occupy half of the new building, she said, and the remaining 2,300 square feet has not yet been leased. Irmen said lease rates are expected to be around $16.50 per square foot, or roughly $3,000 per month. Project description: Great Southern Bank plans to move a block away from its leased branch at 1580 W. Battlefield Road. 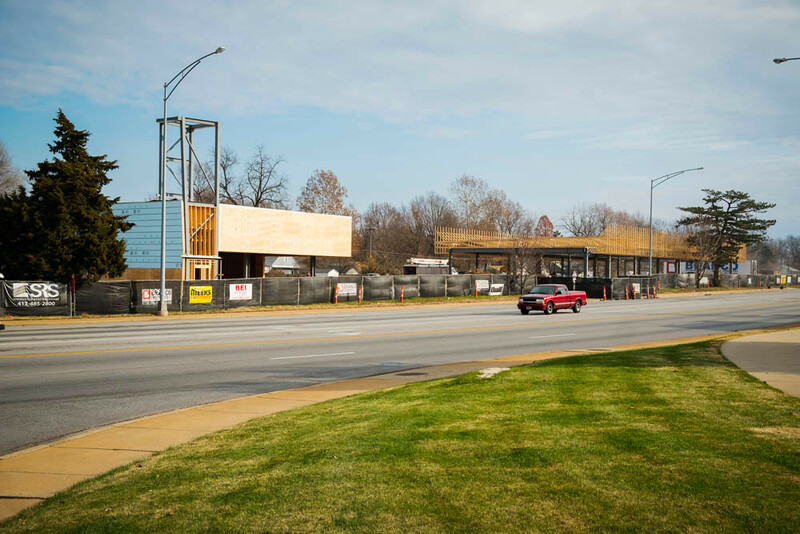 The bank owns two parcels at the corner of West Battlefield Road and South Fort Avenue, according to Greene County assessor records, where it is building a full-service banking center with tellers, personal bankers, safe deposit boxes and a drive-thru, spokeswoman Kelly Polonus said. The self-financed branch is designed to be more accessible to customers with three drive-thru lanes and a drive-thru ATM that accepts deposits, Polonus said. General contractor: Dock Brothers Construction Co. 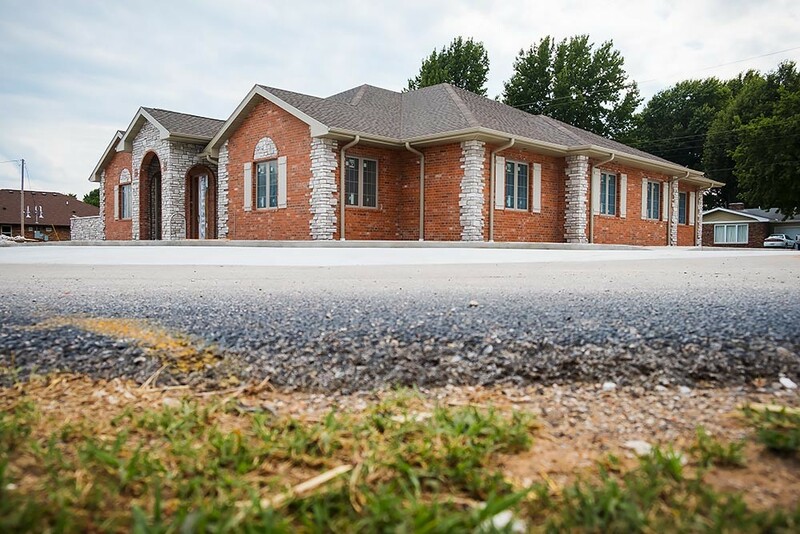 Architect: Butler, Rosenbury & Partners Inc.
Project description: Already operating on North Glenstone Avenue, RNR Custom Wheels & Tire Express is building a second location on the south side, in between Community Blood Center of the Ozarks and Sonic Drive-In. The 6,000-square-foot building is designed with four work stalls and a showroom for Bridgestone, Goodyear, Firestone and other brands. Services include wheel alignment and flat tire care. RNR Investments LLC owns the property, according to Greene County assessor records, and the Tampa, Florida-based RNR chain operates over 60 stores nationwide. Project description: At the corner of Republic Road and Cox Avenue, Magers Crossing is a two-building, mixed-use development with designated space for 10 retail storefronts, 10 offices and seven restaurants. 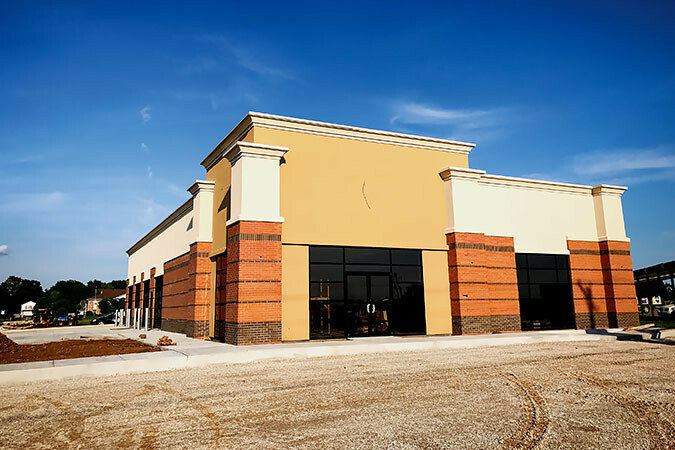 Great American Taco Co. is the first restaurant to sign on, leasing 3,600 square feet of the 11,000-square-foot north building facing Republic Road, said real estate agent Arch Watson of Sperry Van Ness/Rankin Co. He said a nail salon also plans to occupy space in the building, which leases for $16 per square foot. The two-story south building on Cox Avenue is almost 31,000 square feet with a lease rate of $13.50-$14 per square foot triple net. On 5.6 acres owned by Randy Magers, according to city building permits, the development will be managed by Magers Management Co. I LP. It’s located near the $26 million Veterans Affairs clinic under development and the planned extension of Kansas Expressway. 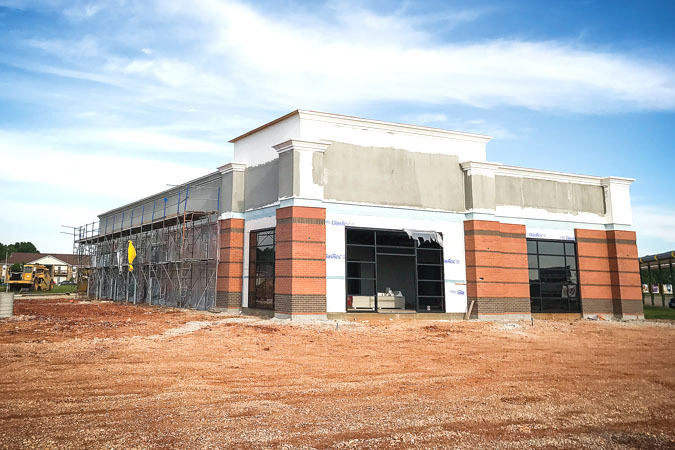 RNR Wheels & Tire is building a 5,200-square-foot store next to Sonic on South Campbell Avenue. Geoffrey Butler, founder and principal for architect Butler, Rosenbury & Partners Inc., said the shop will have four work stalls and a showroom. Dock Brothers Construction Co. is working with multiple engineers on the project, including Bergmann Engineering Co. LLC, structural; Smith-Goth Engineers Inc., mechanical, electrical and plumbing; and frankZdesign LLC, landscape. Butler said Anderson Engineering Inc. also performed some civil work. Butler expects the project to wrap up within 60 days. General contractor: Rich Kramer Construction Inc.
Project description: Springfield-based railroad signal products manufacturer L&W Industries is relocating to the Partnership Industrial Center from 3149 E. Chestnut Expressway. 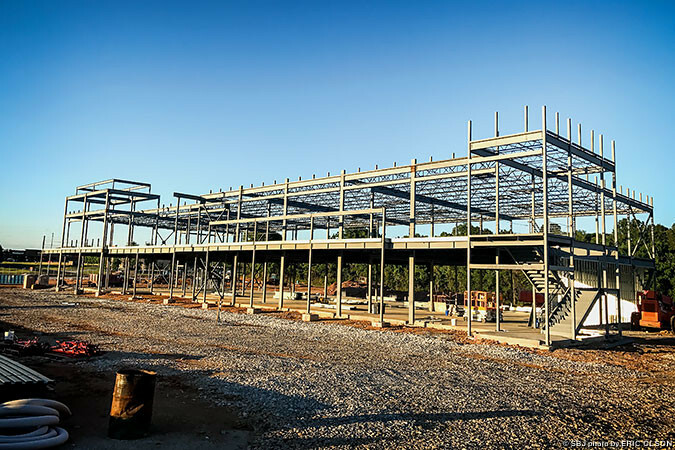 Lowell Thomas, a project manager with Rich Kramer Construction, said the company is erecting a pre-engineered metal building that is expandable. It includes manufacturing and design space, as well as offices. The move would bring three L&W operations and 50 employees under one roof. 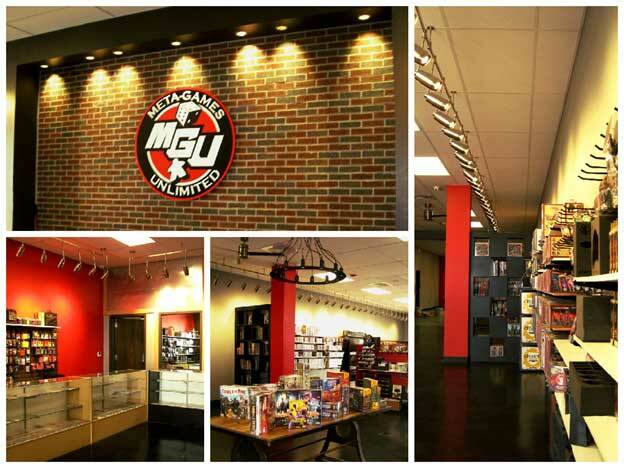 Meta-Games Unlimited, a longtime staple of Springfield’s card and table gaming community, is reopening today after a week of significant interior renovations! The updated interior flaunts a brand new retail floor – fully equipped with product-showcasing track lights – and an expanded, roomy gaming space. The latter will serve to better host the competitions for which Meta-Games is locally renowned. In coming weeks, Meta-Games will also be stepping up its curb-appeal with a brand new front facade! Layered storefronts and striking LED pillars are sure to create an inviting welcome for all. When all is said and done, Meta-Games will share the remaining property and storage space with as-yet unknown tenants. Congrats, Meta-Games, on your updated space! 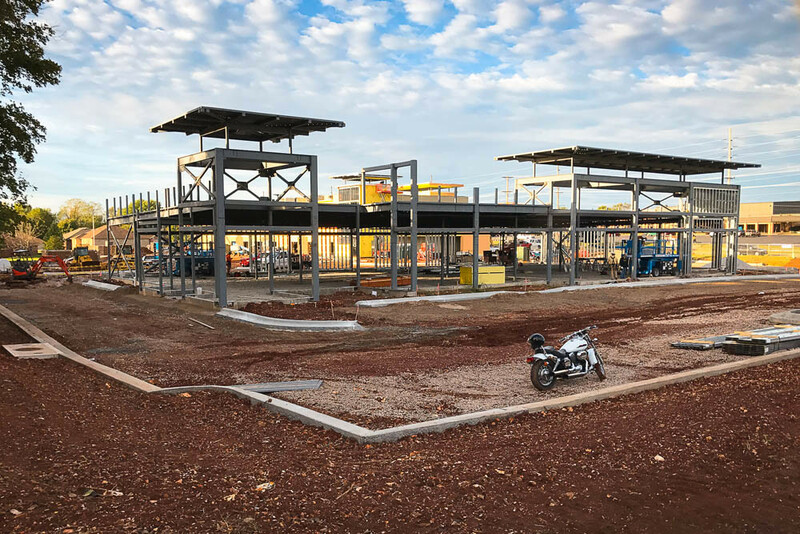 Project description: Rich Kramer Construction Project Manager Lowell Thomas said the contractors are building a single-story, pre-engineered metal structure with masonry walls and a glass storefront. According to SkyZone.com, the trampoline park would offer fitness and entertainment options including open jump periods, dodgeball, low-impact aerobics, called SkyRobics, and SkySlam basketball sessions. The gyms also have a foam zone with 10,000 foam cubes at the end of a trampoline runway. Los Angeles-based Sky Zone, which operates in the U.S., Canada, Mexico and Australia, also offers facility rentals for group events and birthday parties. Copyright © 2019 Smith-Goth Engineers, Inc.. All Rights Reserved.